Eric Brown made the first deck landing of a jet aircraft when he landed the second prototype D.H. Vampire, LZ551, on HMS Ocean on December 3, 1945. 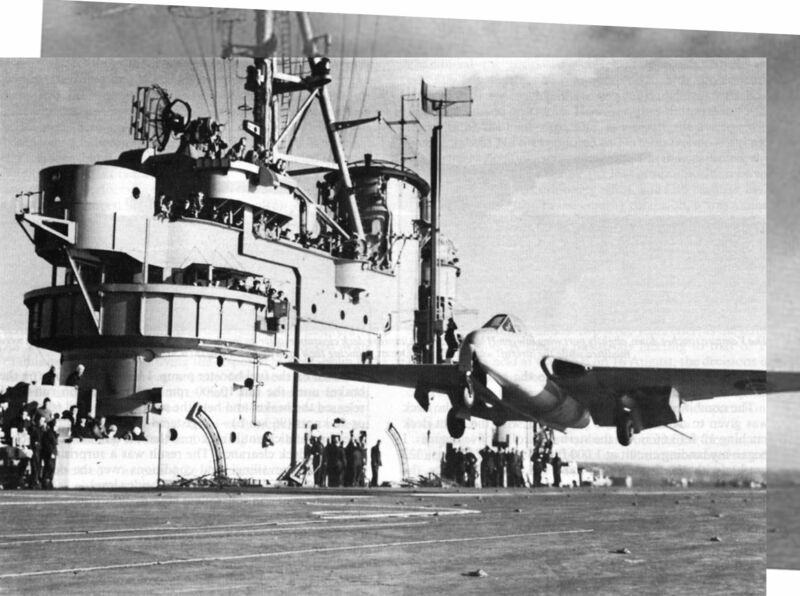 View of the initial series of trials on HMS Ocean with the Vampire prototype. 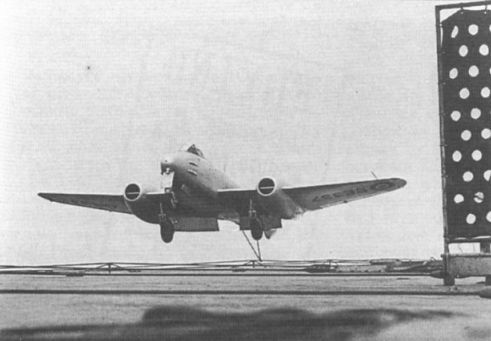 The illustration shows the Vampire at take-off, already well airborne as it passes the island superstructure. Eric Brown is seen standing with LZ551 aboard HMS Ocean on December 3, 1945. 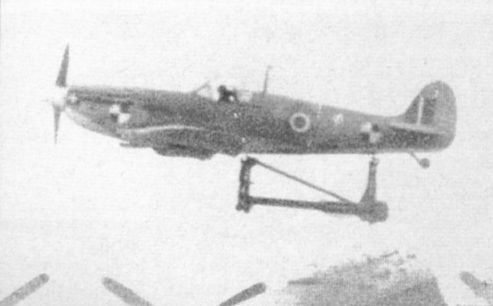 Seafire MB307, fitted with RATOG, was flown by Brown in early 1945. 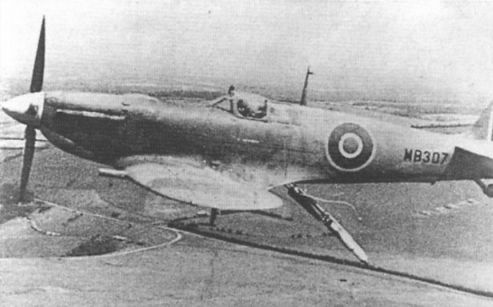 During this rocket catapult take­off from Farnborough the heavy steel launch cradle broke away from the rails and remained attached to Brown's Seafire. 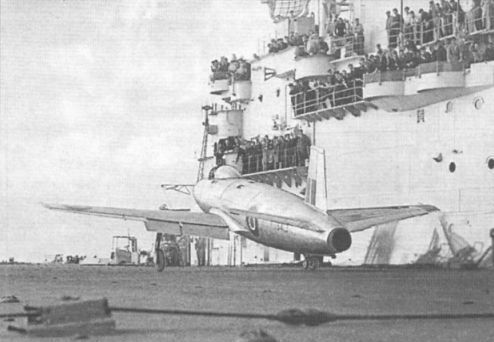 Eric Brown carrying out deck landing trials with Meteor F.3 EE337 aboard HMS Implacable during the summer of 1949. 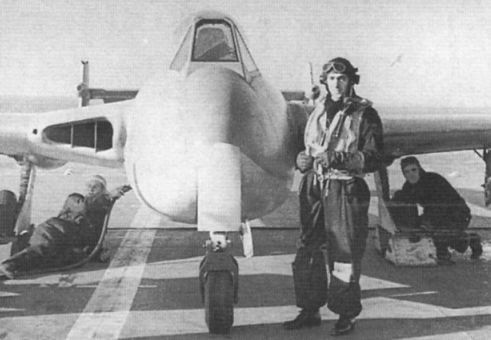 Brown was among the first to take Supermarine Attacker TS413 off from HMS Illustrious, in October 1947. The massive Blohm und Voss Bv 222 Wiking six-engined flying boat was originally designed for a proposed Deutsche Lufthansa trans-Atlantic service. This example is the Bv222C 0-12, the fourth pre-production example of the diesel-engined variant. Captured in Norway, it was flown to the UK and, serialled VP501, was test-flown for evaluation at Calshot by 201 Squadron. It is seen in the throes of engine maintenance, the port outer and starboard central Junkers Jumo 207C 12-cylinder diesels having been removed. The unusual "split” retractable stabilising floats are clearly shown.